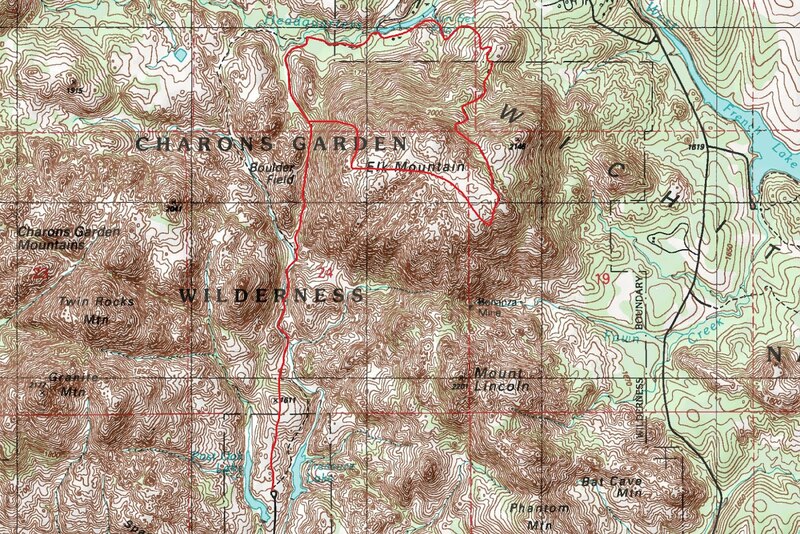 Cindy McCloskey and myself tackled Elk Mountain via the Charon's (pronounced Karen's) Garden Wilderness Trail. After taking a short side-trip up a rock buttress, we returned to the main trail, and then began ascending a gully filled with medium sized boulders located on the northwest flank of Elk Mountain. After gaining several hundred feet, we then veered south up a second gully, which gave access to an expansive slab of exposed granite that was sloped at a 30-40 degree angle. We smeared up the granite slab, and before we knew it, we reached the large flat summit. We then made a southeastward traverse across the top of Elk Mountain, and regained the class 1 trail that leads north toward the Sunset Lake picnic area and parking lot. 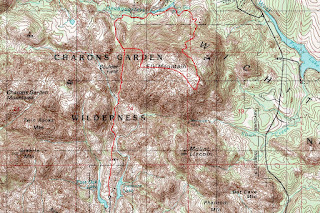 We made a detour along a trail segment that followed a stream, reached the picnic area, turned west, and regained the Charon's Garden Trail. Halfway through the trail, we encountered the expansive boulder field that resides at the base of Elk Mountains western slope...the boulder hopping was great. Next, we skirted past a seasonal waterfall, regained the rocky trail, and reached the end of our adventure soon after. The traverse/loop was around 6 miles roundtrip, took 3 hours to complete, and the climbing didn't exceed class 3.